Remember when your grandpa told you that it's always wise to keep some spare parts around when you grow up and have your own car? Well, guess what? That advice is still totally valid when you're undead. In the wild and exciting life (or afterlife) of a zombie, you never know when you're going to need those odds and ends. That's why you shouldn't leave the graveyard this Halloween without this Severed Body Parts Set in your pocket! 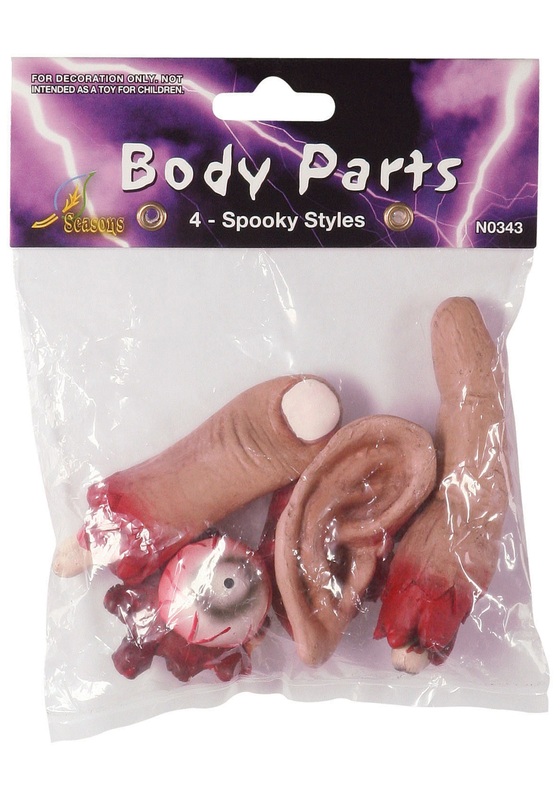 With an ear, a severed thumb, a finger, and a plucked-out eyeball that's sure to make anyone who sees it want to toss up their lunch, this grab-bag of gross is the ticket to a classic Halloween... you know, the kind where people get freaked out of their wits. You can add these parts to your own zombie getup, or scatter them throughout the appetizers. Trust us, it's a great way to make friends and win hearts. And then eat them, of course!